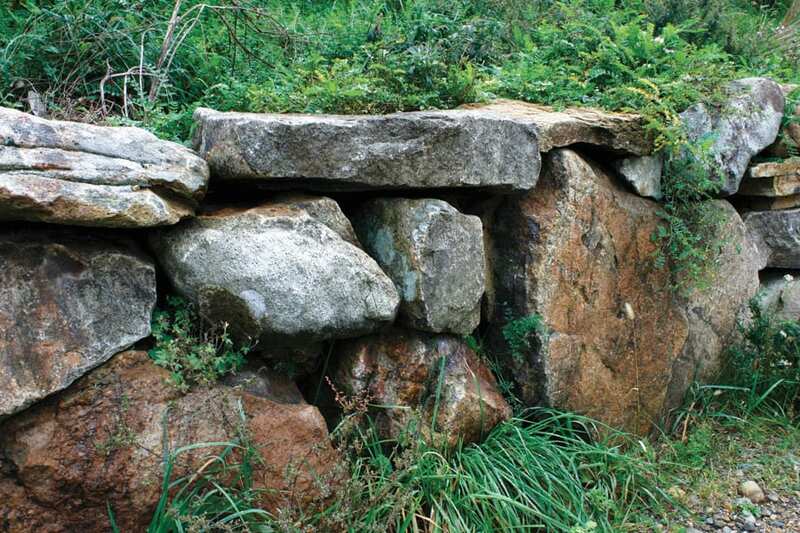 Colorful and textured boulders of this native stone make an instantly aged looking large stone wall. Primarily gray with a range of accent colors including brown, rust and even green. 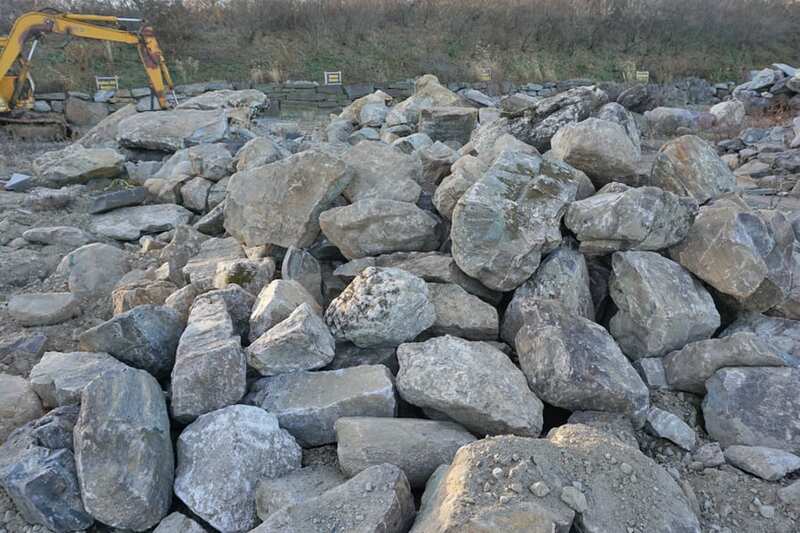 Part of our Indian Hill® boulder wall stone inventory at Wicki Stone.